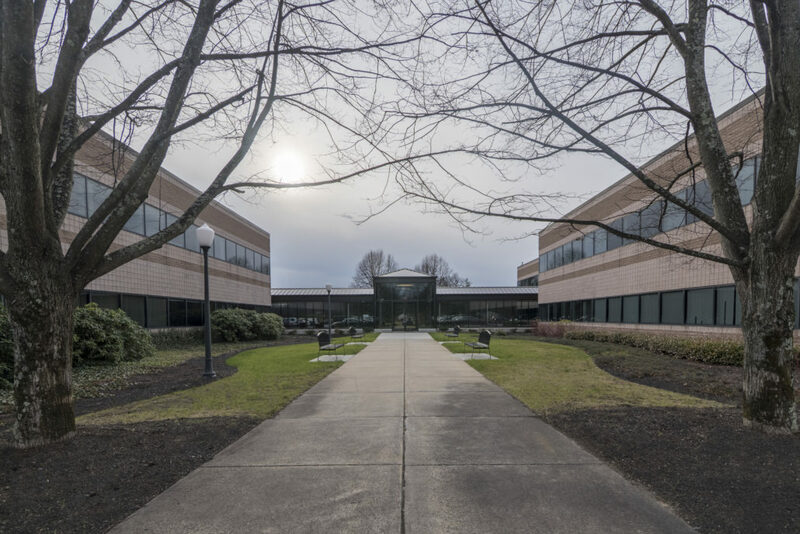 Cynosure, a leading developer and manufacturer of a broad array of light-based aesthetic and medical treatment systems, retained Visnick and Caulfield to design the total renovation, expansion and connection of two buildings by way of a ground level connector in a multi-phased endeavor which integrated all aspects of design and project planning. 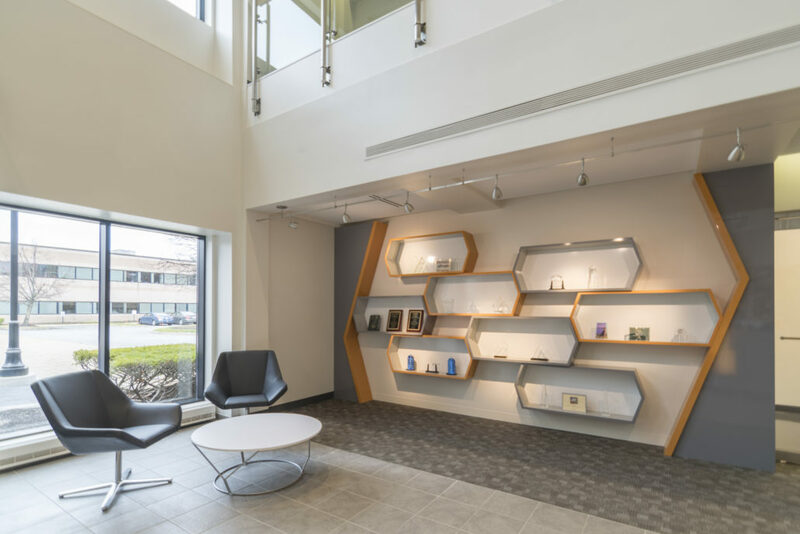 The expanding company desired a space to more accurately portray their culture and brand. 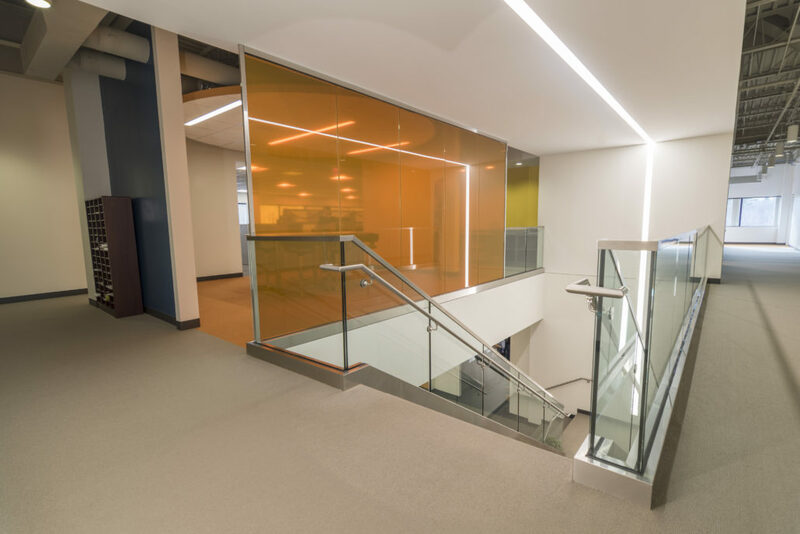 VC worked with Cynosure to shed new light to the face and brand of the company by creating a contemporary environment that would attract and retain new employees. 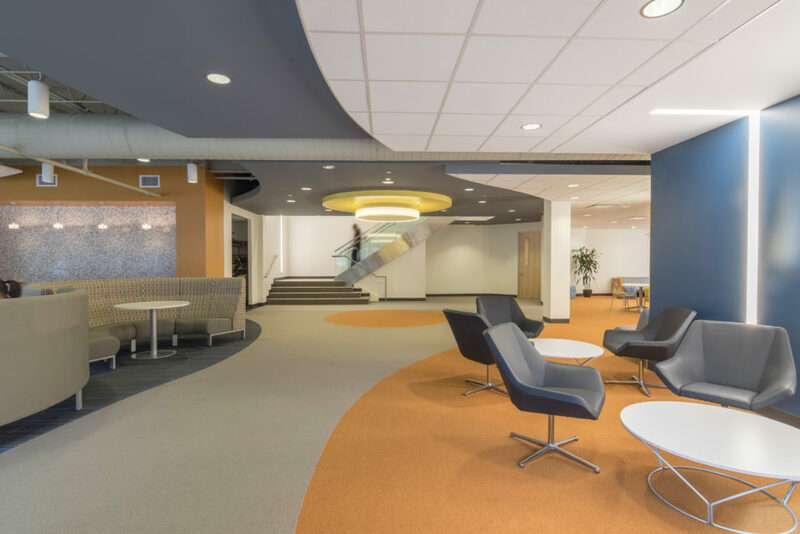 VC brought both buildings together by designing an enclosed connector leading to a “chill zone” filled with bright pops of color and diverse array of collaboration areas. The chill zone features an interconnected stair separated by bright orange glass panels to the cafe area. VC continues to work with Cynosure through other expansion opportunities.